Today in the lovely sunshine my daughter and I trundled off to Somerset to the Willow and Wetlands centre near Taunton to buy some living willow to make an arch for the garden. It's a wonderful place and well worth a visit if you are in the area. 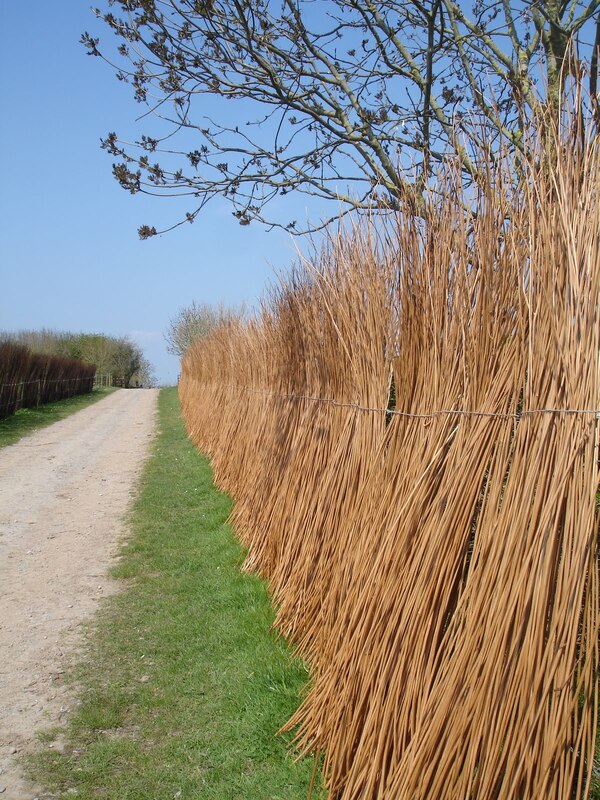 We had taken Wrecks the dog with us so we took him for a walk as soon as we got there through the lines of drying willow, golden on one side and brown on the other side of the path. 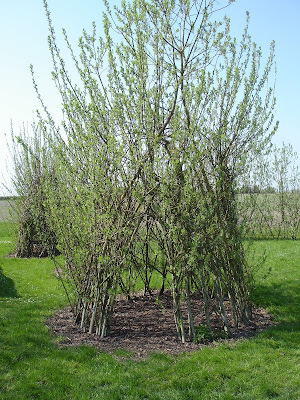 This is the start of an arbour made in living willow And here is one after a bit of growth, in the summer it will be almost covered and like a secret den. 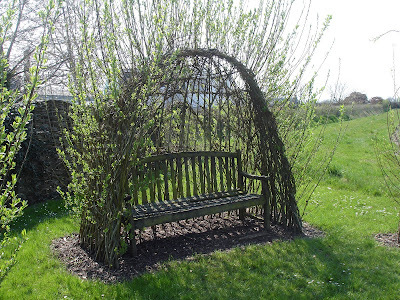 I loved this seat in an arbour and have got enough willow to try and make one. I have got it all soaking in the pond this evening to keep the roots wet. We actually managed to get x50, 8ft sticks back in a Renault Clio! 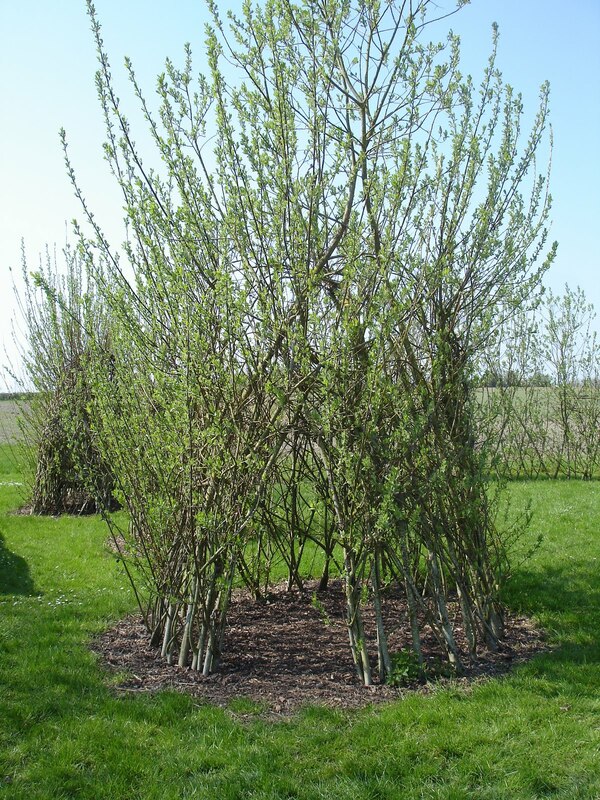 Plus I got some willow sticks to make some plant supports too! 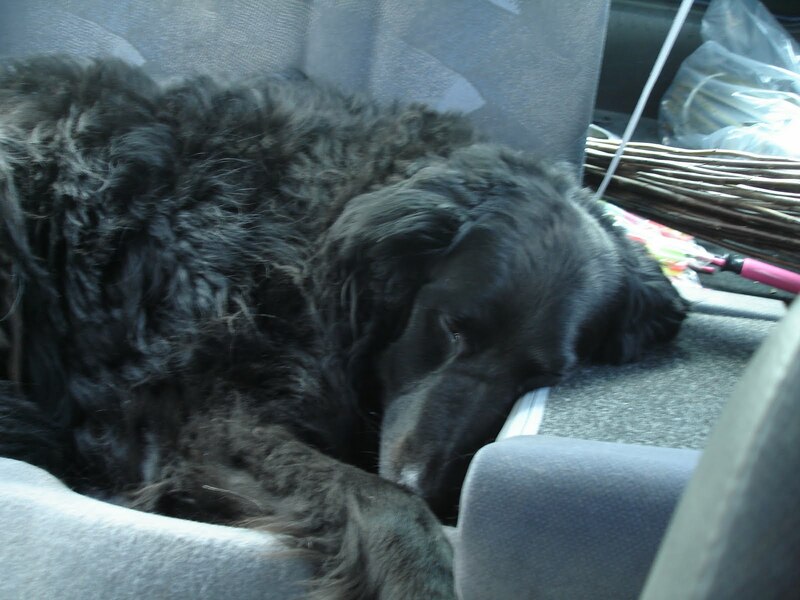 Unfortunately Wrecks had to lose a bit of his reclining space on the way home and was not amused at all! However he did enjoy the walks through the fields there. It's been a lovely spring day and I have seen a Comma butterfly, Peacock Butterfly, some swallows and some Ladybirds, all firsts for the year. Oh, and Barry's back! The slow worm who lives under a tin lid in the garden has returned, a few weeks later than last year but he's back! How interesting. I had never thought of that. The seat looks lovely and after filling in will be wonderful. 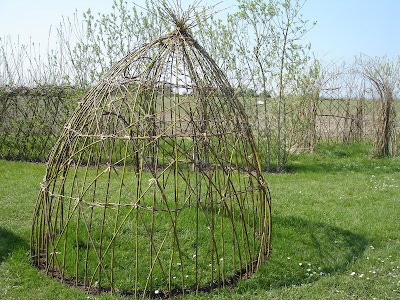 That is so cool what can be done with the willow. Great ideas. I look forward to seeing what you do with it. Wrecks is so good in the car.If that was Bella,she'd have been chewing on those bits of willow for sure! Can't wait to see what you make with it. 1 husband, 3 children and 1 dog. I am a Christian attending a local Baptist Church. 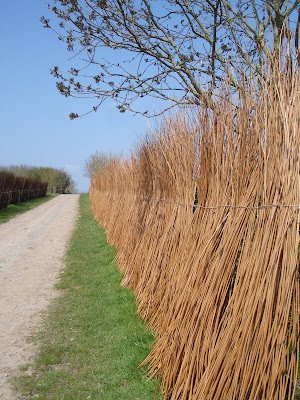 This blog is evolving into a sort of stroll round Dorset, and other parts of the UK sometimes. Thank you for visiting and your comments are very welcome but please, no tags or awards please...I don't know how to do them and I just blog for fun and as a creative outlet. Time with the family, when they are all home from work/University/School, etc..
Any ideas on this UFO hanging in a tree? The sun shines at last on Dorset.